What better way to welcome 2018 than a trip to Colorado for the annual spectacle that IS the National Western Stock Show! 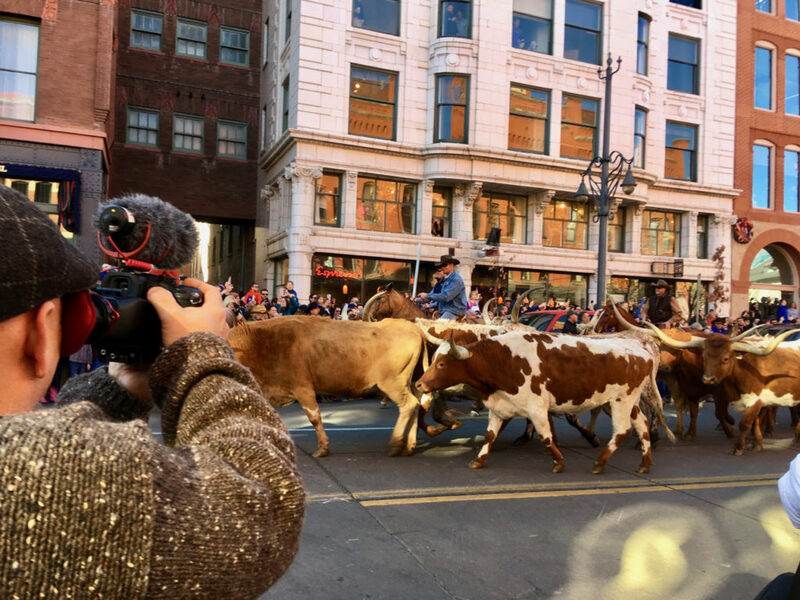 For a period of two weeks each January, Denver transforms into a Cowboy extravaganza complete with a parade of livestock (among other dazzling displays) through the streets of downtown, thrilling rodeos, and nail-biting professional bull riding competitions (there’s GOT to be an easier way to make a living!) 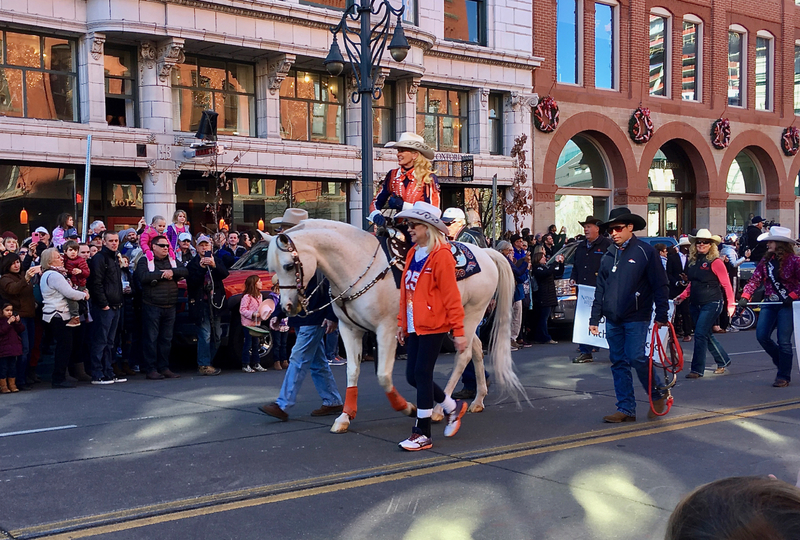 Add in a bevy of delectable food vendors, dancing horses, barrel racing, livestock shows, a livestock “spa”, and the best people watching you could ever imagine, and you’ll soon find that Denver is THE place to be in January. Ohhhh what fun we had! Now then, we actually ventured to the National Western for WORK on our heritage breeds documentary. And work we did. 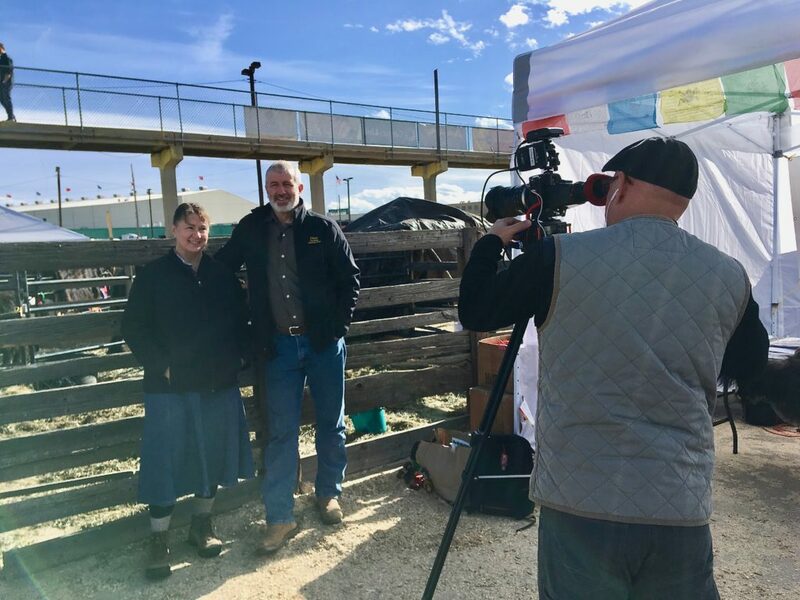 We met and interviewed several folks who are deeply passionate and learned on the need for biodiversity and preservation of heritage livestock in the future of our planet’s food security. Elara enjoyed an inspiring interview with Eddie Mackay of Dundonald Farm, where 58-acres of rolling pastures, natural grasses, and wooded wetlands in St. Joseph County, Michigan are home to Highland Cattle and Cheviot ewes. A member of the American Highland Cattle Association, Eddie’s dedication to heritage breed preservation as well as his passion for carrying on his Scottish clan traditions is admirable to say the least! 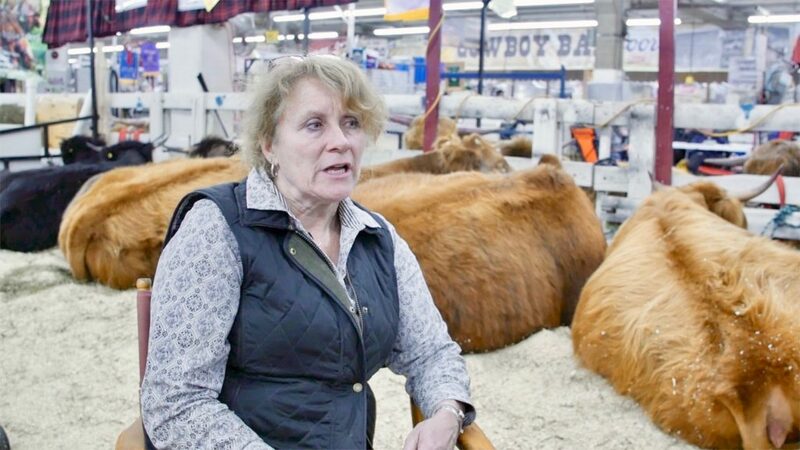 One of the highlights of our collection of interviews was a sit-down with Laura McDowell-May, President of the American Highland Cattle Association. An attorney, she and her husband are also proprietors of Seawind Meadows in Dennis, MA. where they also raise a herd of Highland Cattle. We also met with Steve and Anita Hill of Sunny Hill Ranch. Located in Willow, Alaska (100 chilly miles north of Anchorage), their 320-acre ranch is dedicated to raising quality yaks to provide all-natural, grass fed meat for their community, including local farmer’s markets and restaurants. Sunny Hill Ranch has also established an online store, which allows them to sell and deliver their fresh, sustainably raised meat as far away as Anchorage. Ken Spann and his partner Val Barnica hail from Y Bar-Hitch Suffolk Punch Horses in Montrose, CO. 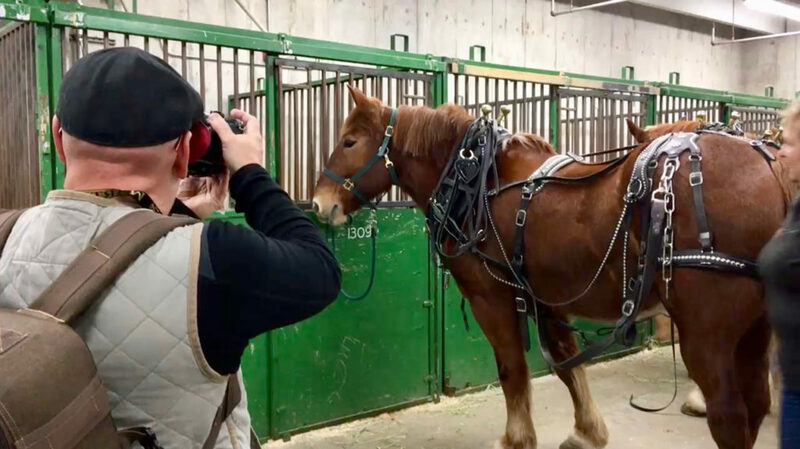 They raise a group of chestnut Registered Suffolk Punch draft horses, a muscular breed that can be “hitched” to steer a horse-drawn carriage or used to pull a forecart. Revered for its easy temperament and endurance, there are less than 900 of these beautiful (but then, aren’t all horses beautiful?) rare breed horses left in North America. Assuredly, Y Bar Hitch’s Suffolk 4-up, 6-up and wheel teams turn plenty of heads whilst traversing the country … and community roads winding through western Colorado. Negotiating the halls, grounds, exhibit areas and all-round 600,000 square feet of the National Western Complex can cause a person to work up a mighty thirst. Naturally, we found a few places to quench. The Brown Palace Hotel is world-famous for its history (open every day since it opened in 1892), as well as its dining. It’s also renowned for Afternoon Tea, complete with scones, Devonshire cream and finger sandwiches. Add in a few amusing characters to share the experience and it became quite an enjoyable afternoon! And then came the whiskey. 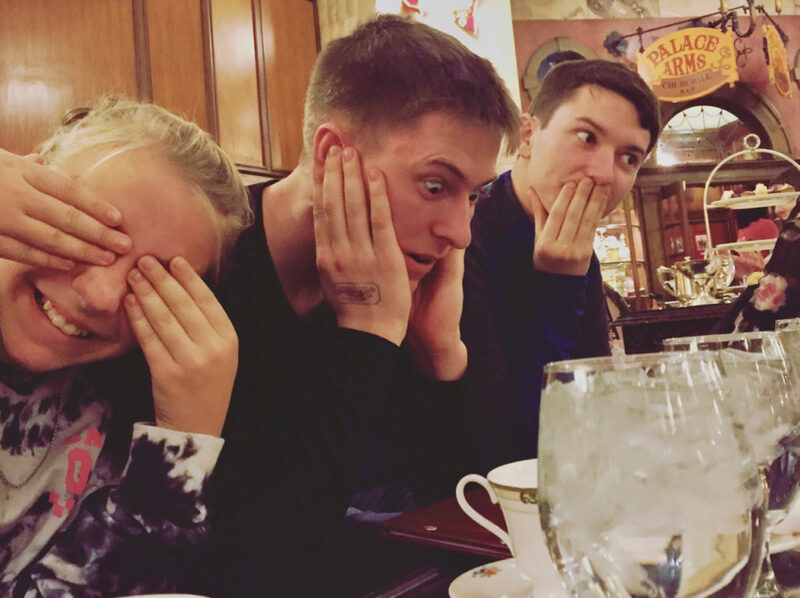 (We’re in Denver, after all.) 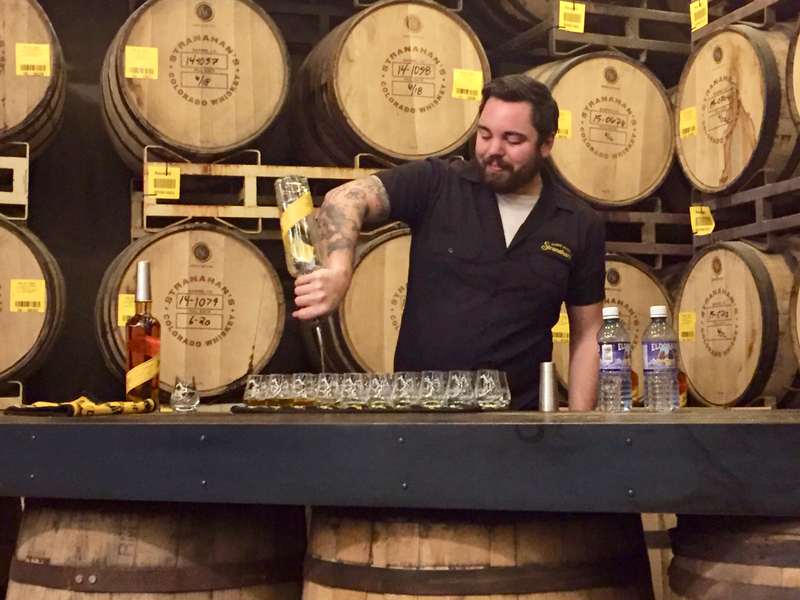 The story of how Stranahan’s Single Malt Whiskey came to be is legendary! When a volunteer firefighter grabbed his gear and ran down the road to help a neighbor extinguish his barn fire, the two discovered they share a passion for … as their website says … “the Colorado outdoors and a fine pour of whiskey.” And that, folks, is how Stranahans was born. The rest is savory, hand-crafted, caramelly, oak-infused goodness. CHEERS! 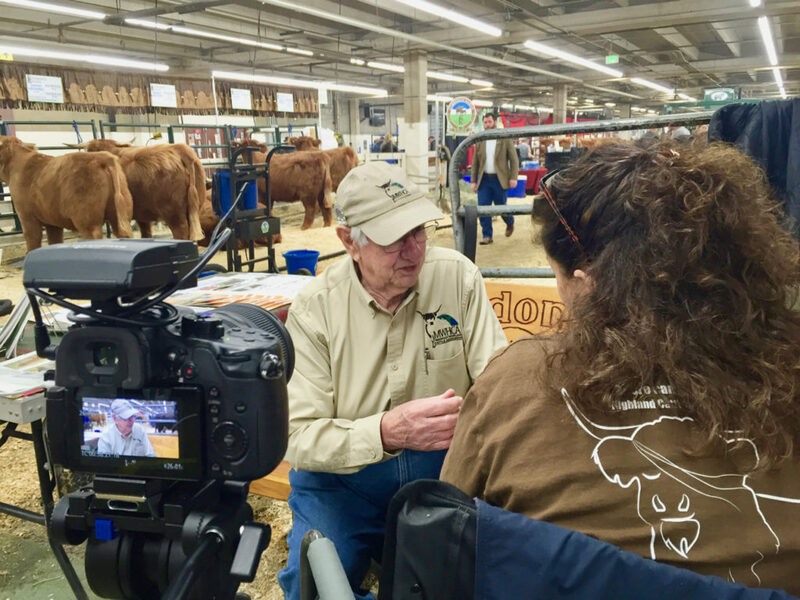 Outside of acquiring more good content for our Heritage Breeds Documentary, one of our primary inspirations for attending the National Western Stock Show is Elara’s late father, Edward Distler. 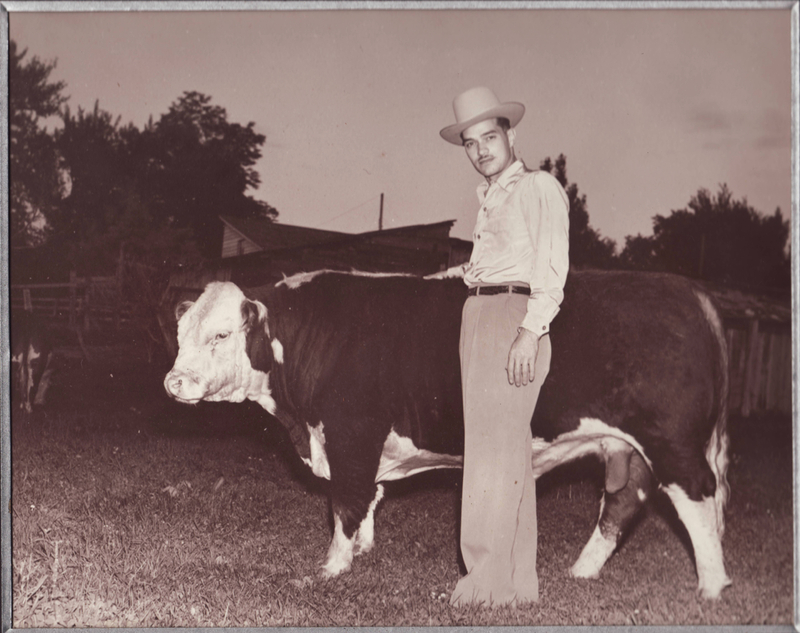 As a young man raising cattle in Idaho where he once lived, the stories he told Elara of life on his farm and attending the National Western Stock Show during the late 1940s and early 1950s have always held a special corner in Elara’s heart. 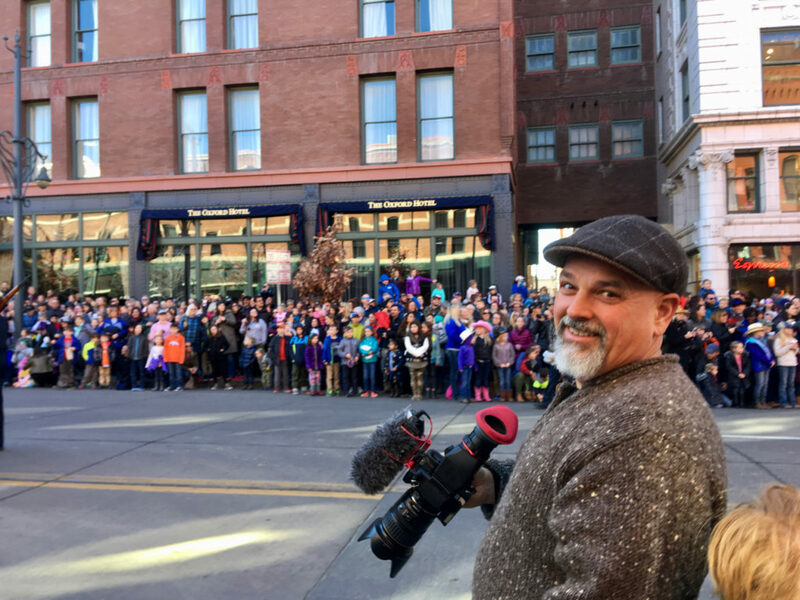 Walking where he walked through the bustling halls of the stock show grounds some 70 years later made our trek to Denver a very special one indeed.